In another of my “Ah Ha moments”, I remembered I got these pair of leggings with a zipper at the bottom of each leg last year. They came in handy for some work outs but since, I have pushed these to the back of the drawer, and placed my new work out gear in the front. But I really loved the texture and color of this pair (some kind of purple-grey which I’m sure someone has coined a name for). So… since I was short of a braided phone pouch to compliment my hair recently, I decided what better way to re-use this great fabric and turn these hardly worn leggings into something useful! 🙂 It’s also a great coin and pen/pencil pouch. 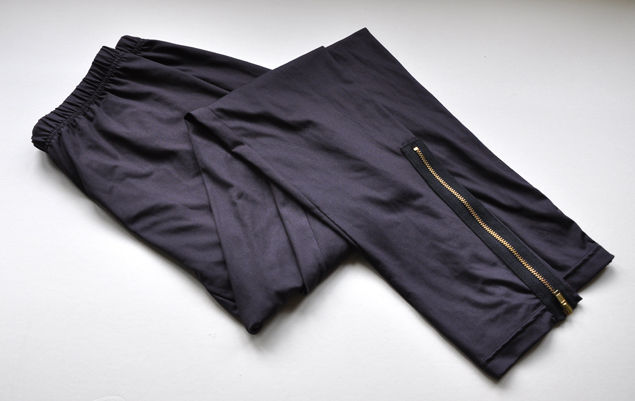 Grab an old pair of leggings. I think this would be fun if you had a bright or pattered pair of leggings too! Maybe even neon, don’t worry I won’t judge you. Cut off one side, giving some allowance after the zipper ends. 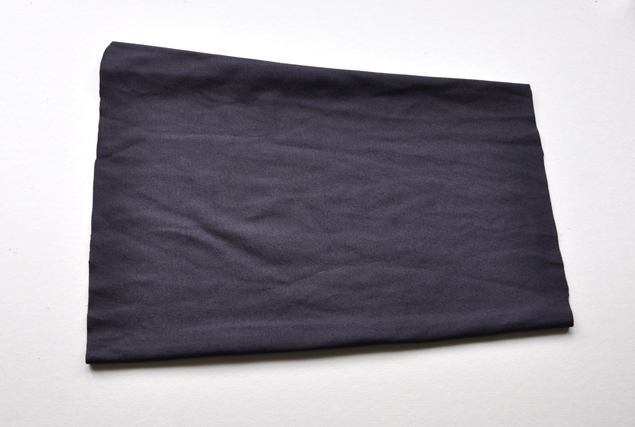 This will be the base of your pouch/ pencil case. 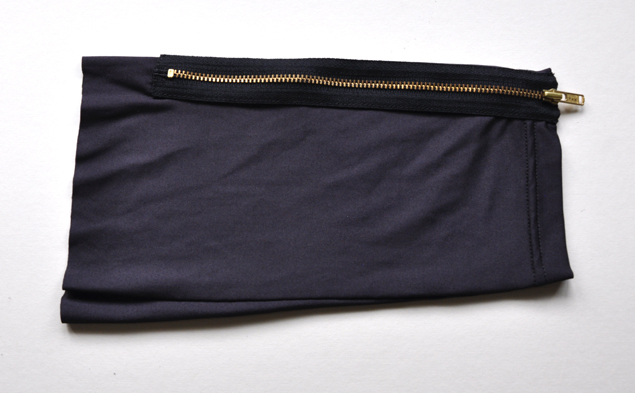 If your leggings don’t have a zipper, feel free to insert your own if you know how. If not, use an old pouch as a base. Cosmetic counters tend to give a lot of these pouches as free gifts during purchase or you can find some at your local dollar store. You should have something like this. Note that most leggings taper towards the end, so you should cut a straight line at the base to ensure everything remains even. 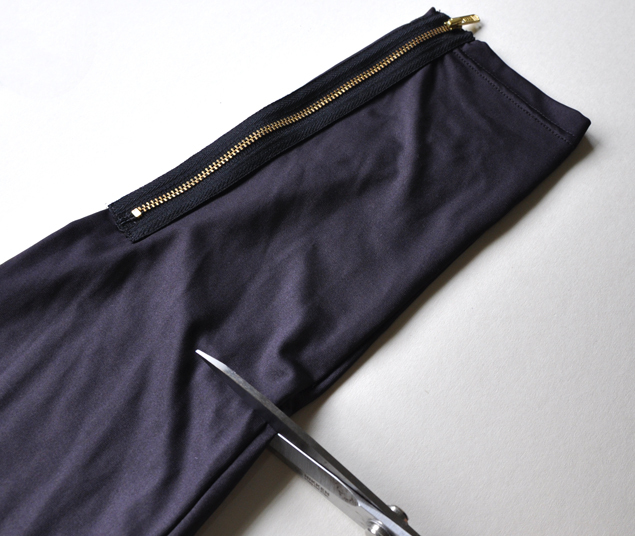 Cut off another chunk of the leggings and make sure it is at least 1.5 to 2 inches longer than your pouch zipper. Cut it open and cut out strips. The width of the strips depends on how thick you want each braid to be. In this instance, I used strips of about 1 inch in width (using eyeball power of course. If you want it to be exact and perfect, you can use a ruler and mark it out with a pen or chalk). Pile three strips together, pin the top and start braiding. I may be taking it for granted that everyone knows how to braid. So if you need detailed instructions in another tutorial, please feel free to let me know! 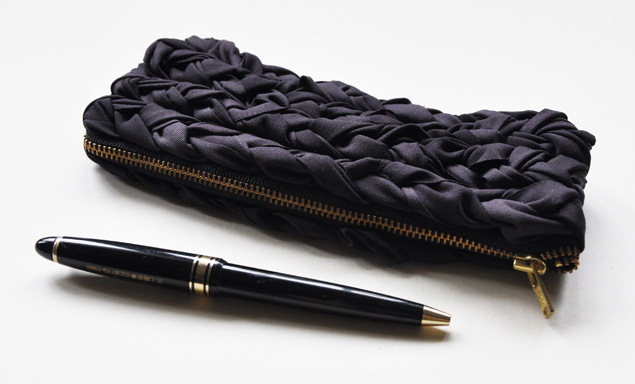 Make as many braids as you need to fill up the sides of the pouch. In this case, I used four as I wanted a slimmer case for my phone, loose change and pencils and pens. 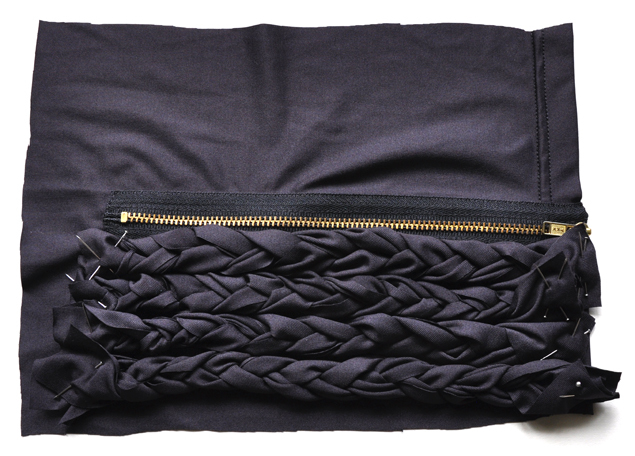 If you want a deeper pouch, sew on more fabric to the side walls and continue adding on more braids! Stitch the braids down onto the fabric underneath. 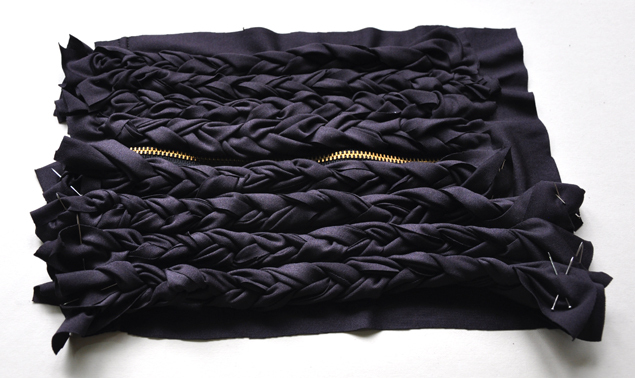 The important parts to stitch are the sides of each braid to hold them down, and the top and bottom of each braid row. You’ll want to make small stitches on the outside and use similar colored thread so it’s not obvious. Repeat for the opposite side. If you’re feeling lazy you could get away with just one side too of course. 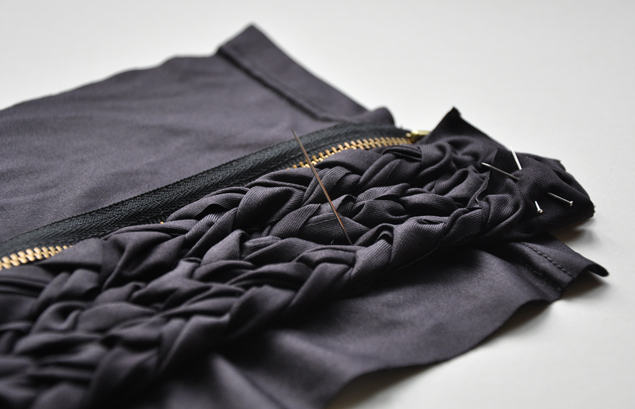 Now close the zipper to about the halfway mark and flip the pouch inside out. 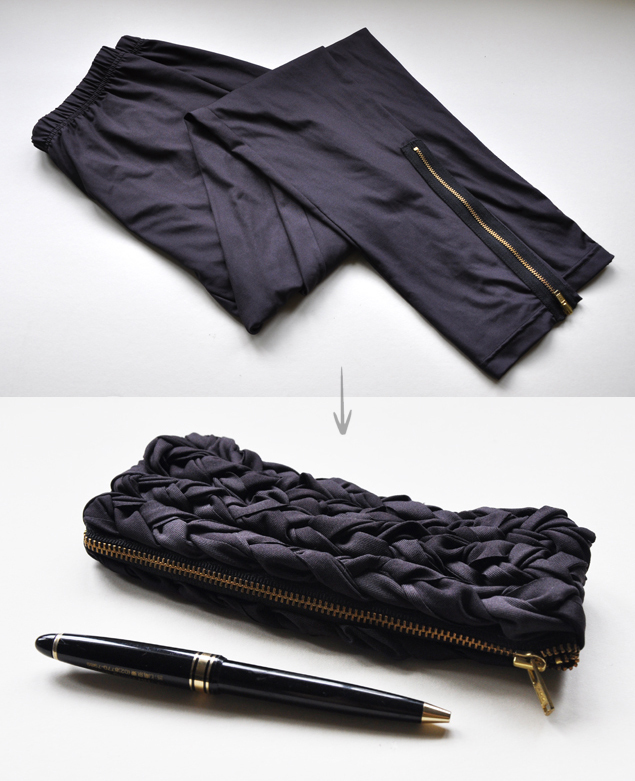 Sew all around to form your pouch shape. 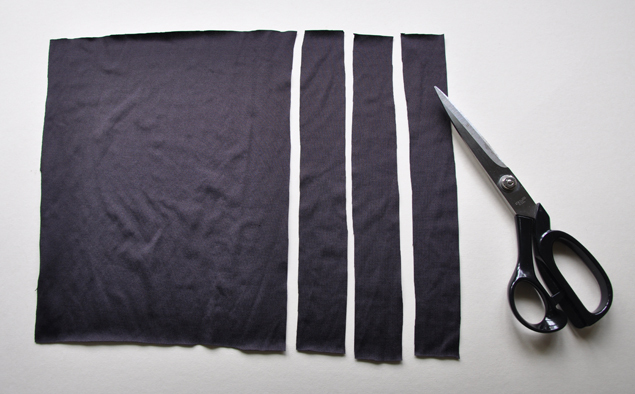 Once you’re done with stitching all around, cut off the excess edges. Be careful not to cut any threads as everything will unravel! I didn’t insert a lining in this, but you can if you want to make it even prettier. Flip it back to the right side and you’re done! The braids also provide some cushioning in case you have more delicate items to place inside.